This range provides elements for an industrial landscape. Aspects of the buildings and machinery are intended to look worn and in need of maintenance. Included in the range are a chemical storage tank, ground level pipe work and a high level gantry bridge and supporting tower. 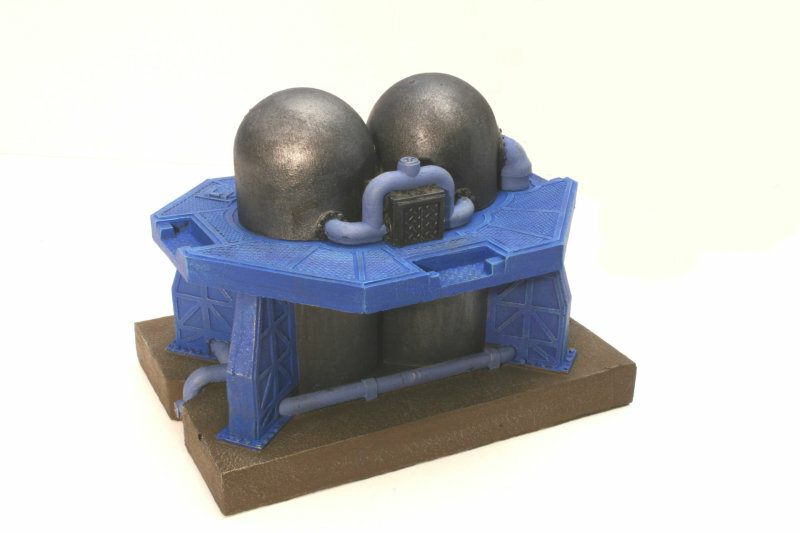 The storage tank and pressurised reactor plant have locations where the gantry bridge can be attached, and, along with the gantry tower, these can be used to create a high level network of bridges. The storage tank and pressurised reactor plant both have ladders to allow access to the higher level. This piece measures approximately 160mm in diameter and 90mm high. It has three connecting points for our gantry bridges. The bridge is 180mm long and 60mm wide with an internal width of 30mm to accommodate standard round bases. 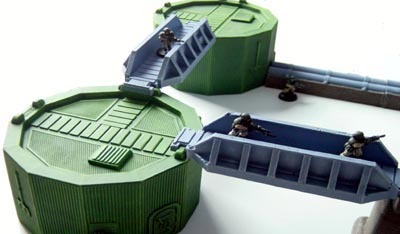 The sides are 20mm high providing cover from which to shoot over. The tower is approximately 90mm high. The pack consist of two gantries and one tower. 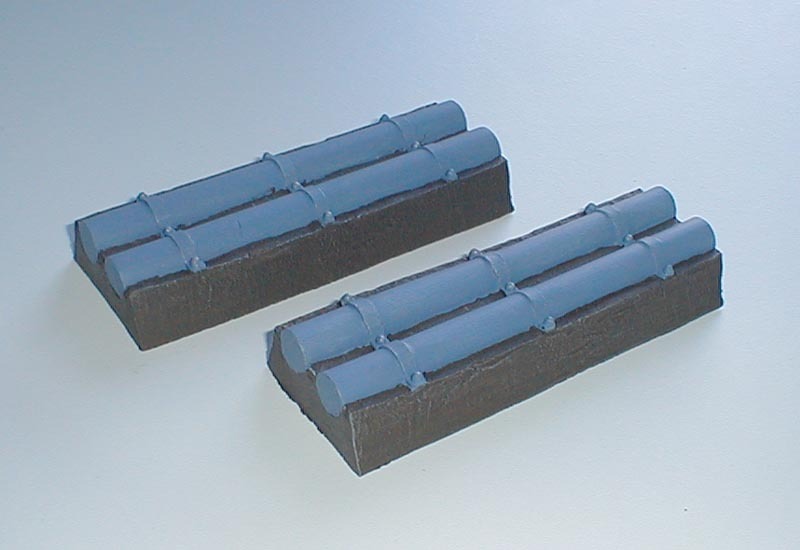 These have the same width and height dimensions as the pipe sections pack SFIND004. 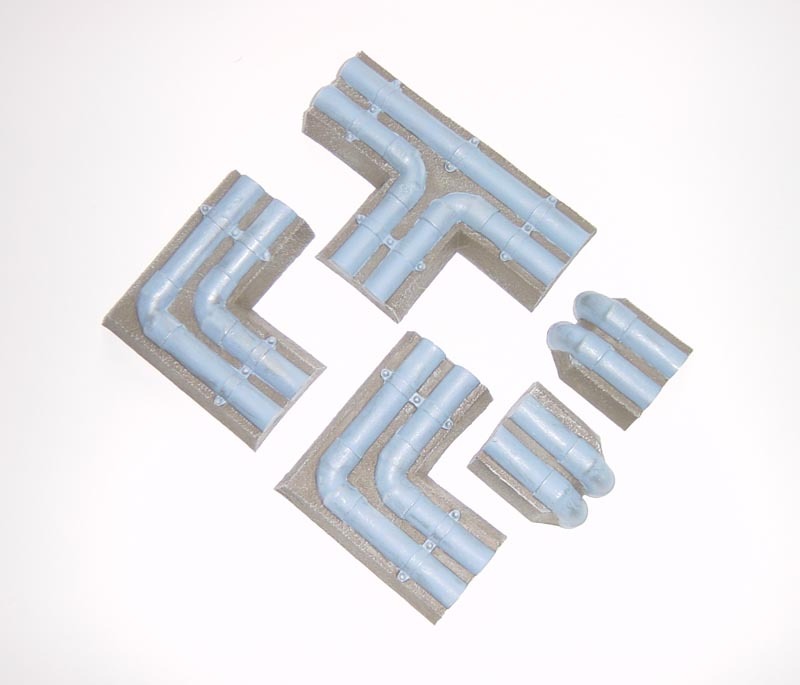 The pack contains a T section 150mm across the longest side, 2 right angles with 100mm sides and 2 terminations as the pipe disappears into the ground measuring 50mm in length. These pieces are 150mm long and 60mm wide. 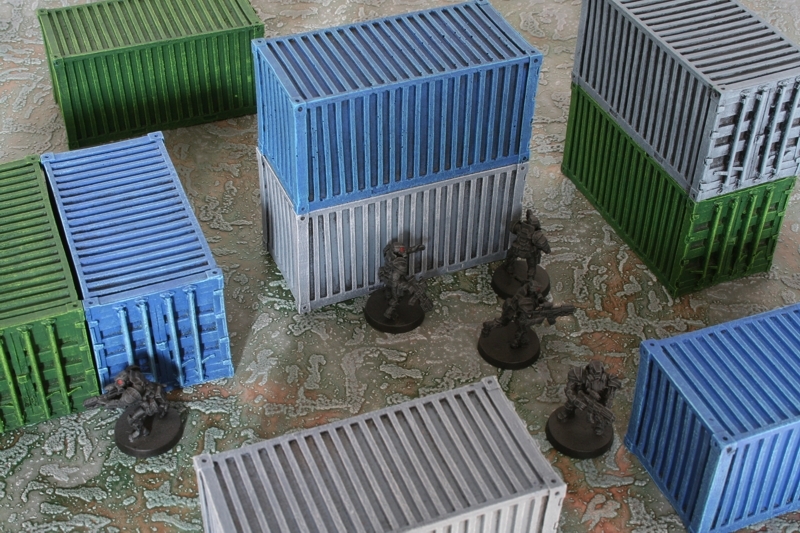 They stand 25mm high providing cover from which to shoot over. All pieces are 25mm high. 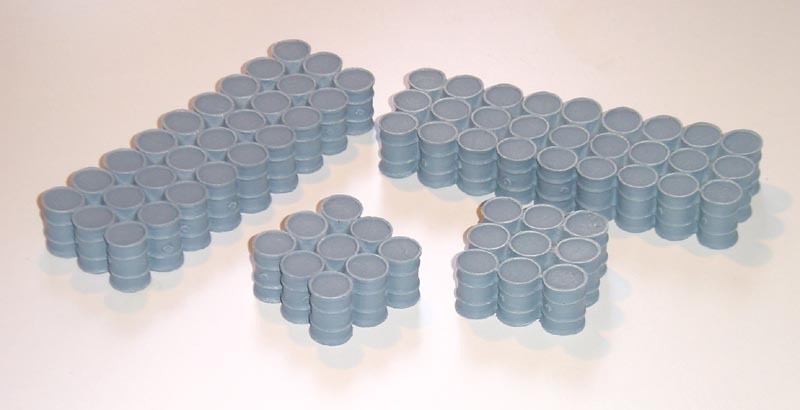 The smaller pieces are approximately 50mm square and arranged in a block of nine barrels. 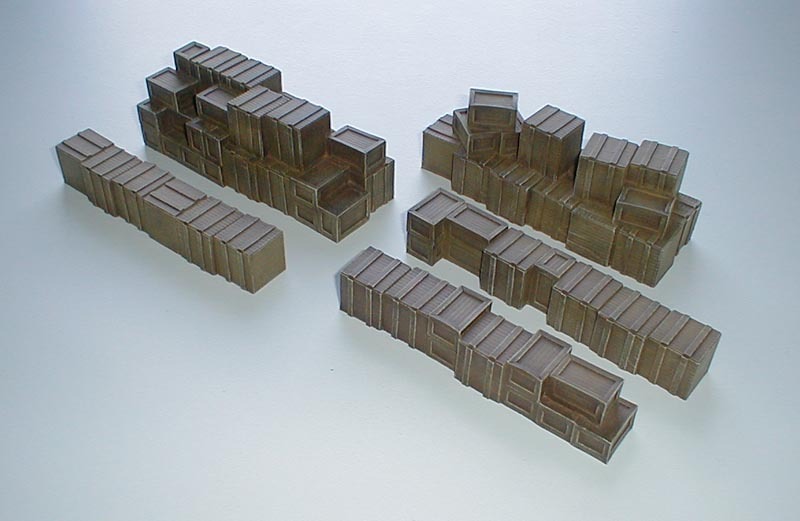 The larger pieces are approximately 150mm long by 50mm wide and are arranged in a block of 27 barrels. The pack contains two small and 1 large pieces. 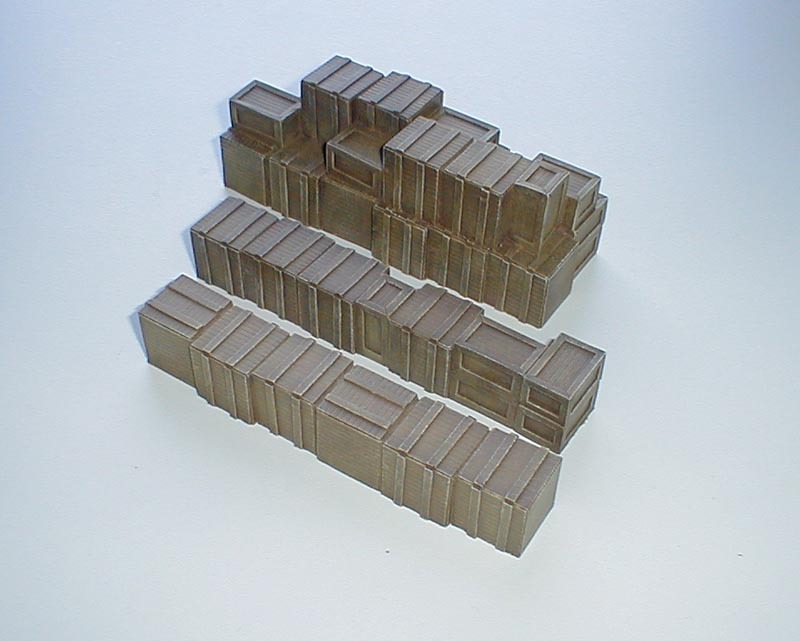 The smaller pieces are approximately 160mm long and are 25mm high arranged in a row. The larger piece is approximately 160mm long by 50mm wide. 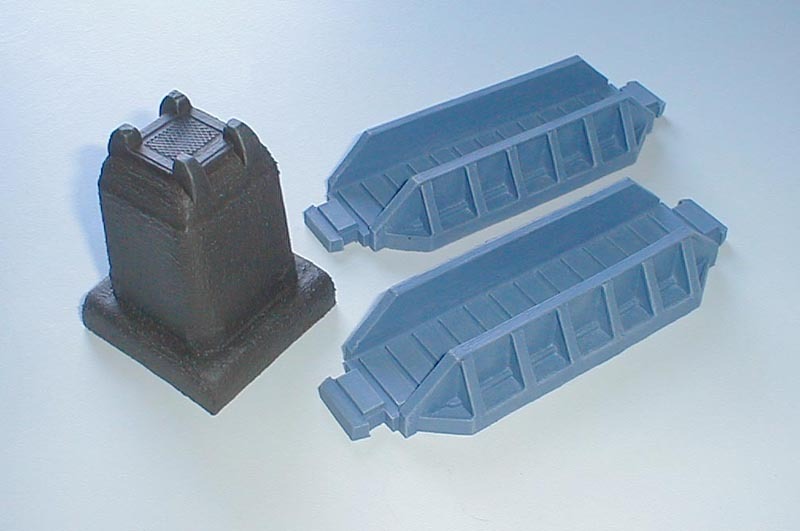 The height is 50mm but there are places for figures to stand to allow them to fire, similar to a parapet. There are a range of variants for each piece so your pack may not contain the same pieces as those shown here. 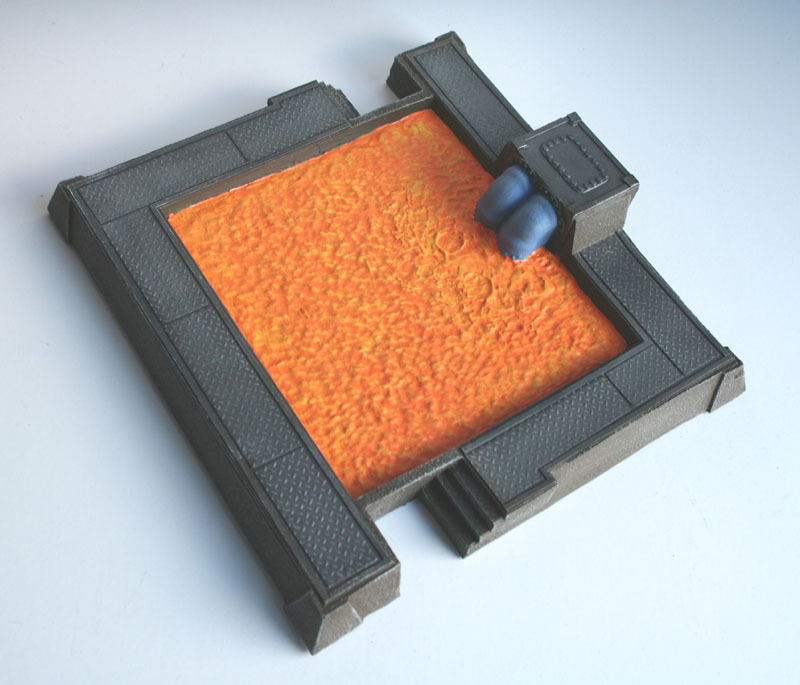 This large piece is approximately 220mm square and around the walkway, 20mm high. Two sets of steps allow access up to the walkway providing extra elevation. The piece is designed to work in conjunction with our pipe range but is equally effective on its own. The complete model measures approximately 220mm by 150mm and 160mm high. 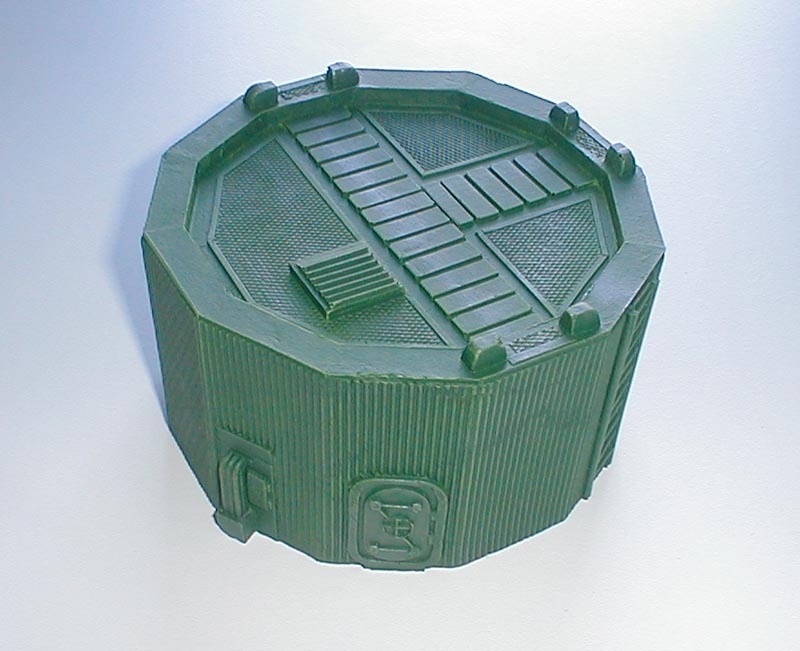 The upper level is 90mm high, the same as storage tank SFIND001. It has 4 connecting points for our gantry bridges. 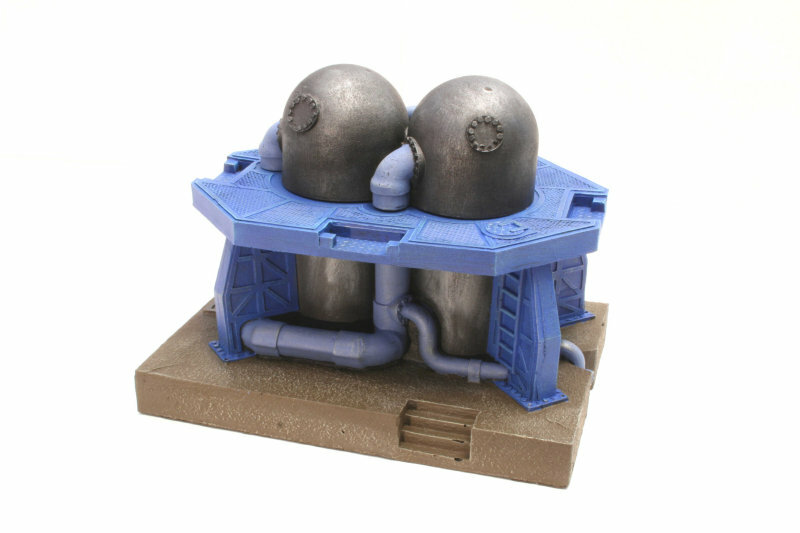 The top domes are removable, so that they can be used separately, leaving a flat platform approximately 90mm high. The domes are approximately 70mm by themselves. 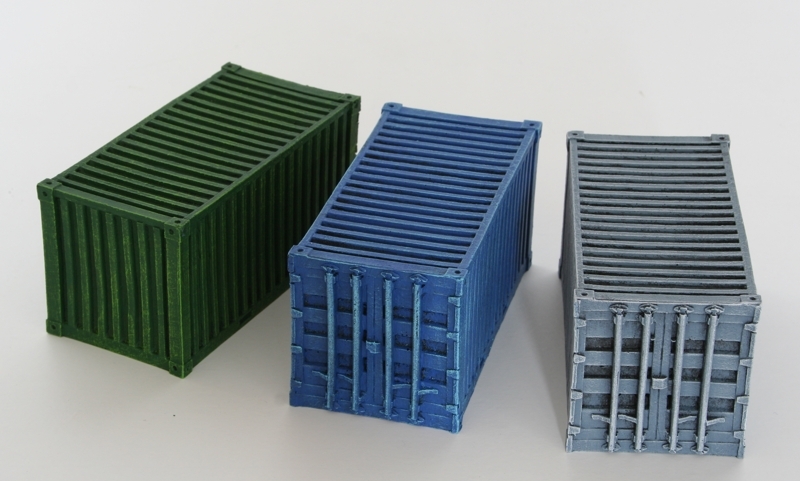 These pieces are 100mm long, 50mm wide and 50mm high. They can be stacked up one on top of the other.